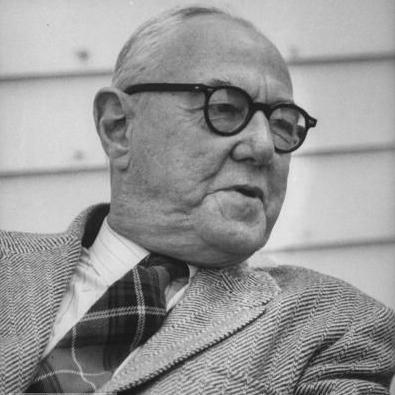 Walter Terence Stace (1886-1967) was a member of the Philosophy Department at Princeton University 1932-1955. Born in London, Stace's great-grandfather was General William Stace of the Battle of Waterloo; his family was a military family; and it was expected that he, like his father and his brother, would enter upon a military career. In his teens, however, he experienced a religious conversion, and he entered Trinity College, Dublin, with the intention of a career in the Anglican Church. While in Dublin, due mainly to the influence of Henry S. Macran, he fell under the spell of systematic philosophy in the Hegelian tradition. Philosophy was destined to be first his avocation and then his vocation the remainder of his long and remarkably productive life. He was one of those rare few, capable of combining successful careers in two entirely diverse fields. Upon graduation from Dublin in 1908, and with family pressures upon him, he entered the British Civil Service. For twenty-two years, from 1910 to 1932, he served in various capacities in the government of Ceylon, always with distinction. He was district judge, private secretary to the governor, land settlement officer, member of the legislative council, member of the governors's executive council, Mayor of Colombo, and chairman of the Colombo Municipal Council. "Stace Street" still exists in Colombo. During these years philosophy was his avocation. His routine was to be awakened at 6:00 a.m. with early tea and to read and write for two hours before breakfast at 8. He produced in this manner three books: A Critical History of Greek Philosophy, The Philosophy of Hegel, and The Meaning of Beauty…. In 1932, offered an option to retire from the British Civil Service, he decided to embark on an academic career. On the basis of his published works he applied directly to several British and American universities for a teaching position. President Hibben of Princeton, himself a philosopher, greatly admired Stace's writings, as did the other members of the Department of Philosophy. Stace was appointed visiting lecturer in 1932 and in 1935 was named Stuart Professor of Philosophy, a chair he held for twenty years until his retirement in 1955. After retirement he continued to live a remarkably active academic life. Each year he received numerous invitations to accept guest professorships. Several of these he accepted, among them a Mellon Professorship at the University of Pittsburgh. His publications after coming to Princeton…include major books in the theory of knowledge, metaphysics, ethics, social and political thought, and the philosophy of religion. There were some twenty-odd scholarly articles, and perhaps most remarkable of all, a book-length poem. On the basis of his publications he established himself as, to quote the New York Times, "one of the pre-eminent philosophers of the English-speaking world." He was President of the Eastern Division of the American Philosophical Association, and a member of the British Institute of Philosophy; he was awarded an honorary doctor of letters by the University of Dublin; one of his books was awarded a prize by the American Council of Learned Societies, another was awarded the Reynold and Hitchcock prize. Stace was far from happy about the continuing association of his name with the early Hegel volume. His mature philosophical outlook was far from Hegelian. He was an empiricist in the British tradition, and his closest philosophical ties were with David Hume, G. E. Moore, Bertrand Russell, and H. H. Price. The central theme which runs throughout his theory of knowledge, his ethical writings and his metaphysical speculation, was that empiricism does not require the confinement of belief to propositions which are in any strict sense demonstrable. According to Stace the final support of our common sense beliefs lies in two empirical facts which fall far short of demonstration. These two facts are, first that men's minds are similar, and secondly that they cooperate in the effort to solve common problems. The boy who had experienced religious conversion was never smothered by the mature clearly-reasoning empiricist. He saw clearly enough that the existence of God is no more susceptible of demonstration than is the existence of a pebble or a rainbow. But wrangling about proofs seemed to him as unintelligent here as it is in the case of any of our common sense beliefs. "Either God is a mystery or He is nothing at all," he wrote. "To ask for a proof of the existence of God is on a par with asking for a proof of the existence of beauty. If God does not lie at the end of any telescope, neither does He lie at the end of a syllogism." It seemed to him that the only consistent path for an empiricist in the field of religion is the path of mysticism. The religious claim makes empirical sense if and only if mysticism makes sense. In his final three books he set himself the task of showing that mysticism makes sense. His argument was that the mystical experience is a fact, is unique, and is the same in all cultures; that while interpretations of the mystical experience vary from culture to culture, all interpretations agree that the experience is logically paradoxical when expressed in conceptual terms. On Stace's view, however, this is a challenge to empiricism, not a violation of it. From James Ward Smith's "Walter Terence Stace 1886-1967", Proceedings and Addresses of the American Philosophical Association, (41) 1967-1968, pp.136-138. Walter Stace’s daughter Jennifer published her autobiography, The Philosopher’s Daughter: A Memoir, in 2014.